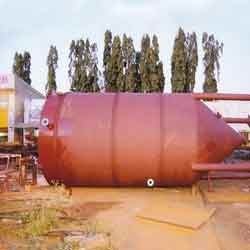 Leading Manufacturer and Supplier from Bengaluru, our product range includes Storage Tanks such as Metal Storage Tanks, MS Tanks and Conical Tanks. Ranging from 10 kl to 100 Kl. Being pioneers in the industry, we provide large range of Storage Tanks to our customers. These Storage Tanks are used in various industries, for commercial purposes and many more applications. We offer corrosion resistant products to the customers. Furthermore, customers like our products for their high grade quality.